27" : 1 - 0 There's the Chelsea goal! 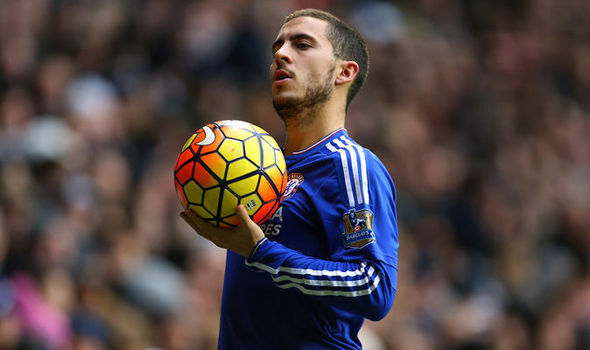 It comes from the corner - which Hazard delivers - and is nodded away by a few Tottenham heads. 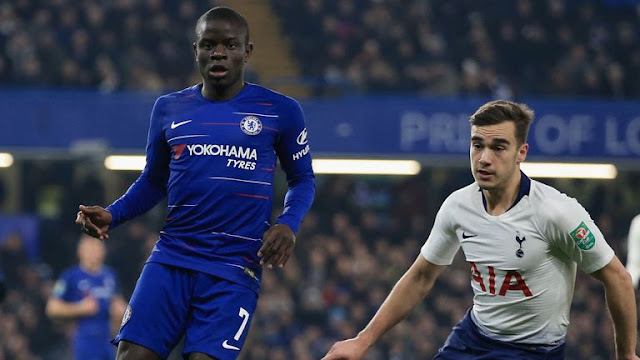 However, it only gets as far as Kante who has all the time and space to hit a fierce drive that flashes through the area - and three sets of legs - before beating Gazzaniga. We're level on aggregate here! 37" : 2 - 0 What a wonderful goal from Chelsea and leader or not, Hazard has fired his side into the lead. Chelsea have a free kick, which Barkley takes quickly, and the hosts just overwhelm Spurs from there. Hazard drives forward before finding Pedro on the right, who in turn slips the ball into the path of Azpilicueta. The Chelsea captain then cuts the ball back for the waiting Hazard in the middle of the area, who fires the ball into the back of the net with aplomb. 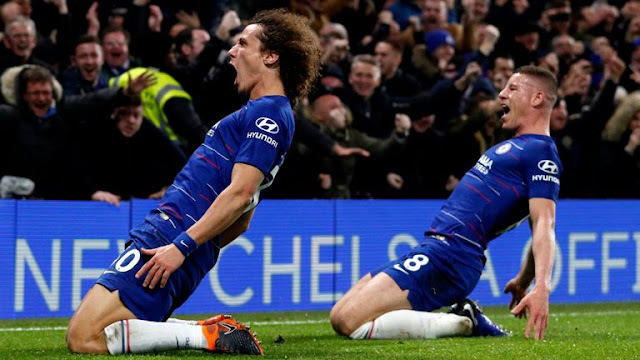 Maurizio Sarri is the sixth manager to take Chelsea to a League Cup final and just the fourth to do it in his first season in charge (after Vialli, Mourinho and Grant). Chelsea won just their second League Cup penalty shoot-out in their last six attempts, with both shootout successes coming at home. This was the third time that Spurs have failed to progress from a League Cup semi-final having won the first leg, alongside crashing out against Newcastle in 1975-76 and Arsenal in 1986-87. 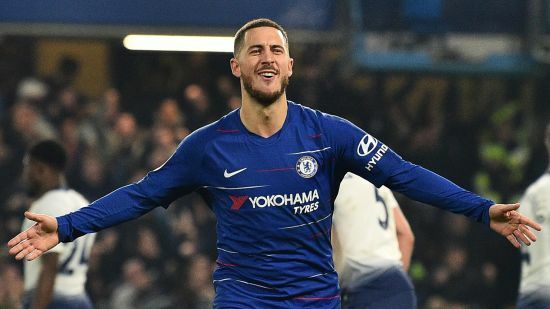 In all competitions, Chelsea have lost none of the 46 games in which Eden Hazard has scored in at Stamford Bridge (P46 W39 D7 L0). Harry Kane, Dele Alli and Heung-Min Son will not be available for Spurs, it's not all bad news on Tottenham's injury front, with Moussa Sissoko (groin) back in training, although it remains to be seen whether he is fit for Thursday. "I am so optimistic," Pochettino was quoted as saying in the Mirror . "We are going to prepare for Chelsea, try to find solutions. Try to be solid, aggressive, offensive and keep our identity. "this group of players are extremely difficult to motivate". he said: "I think we need to react on the pitch. The rest is nothing.